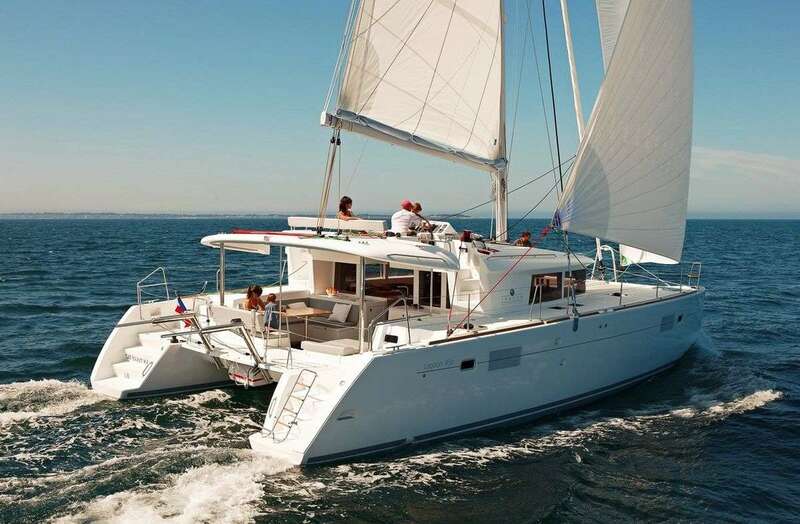 Okeanos is a wonderful 14 m. Lagoon 450 catamaran innovative, fast and comfortable at sea and at anchor. 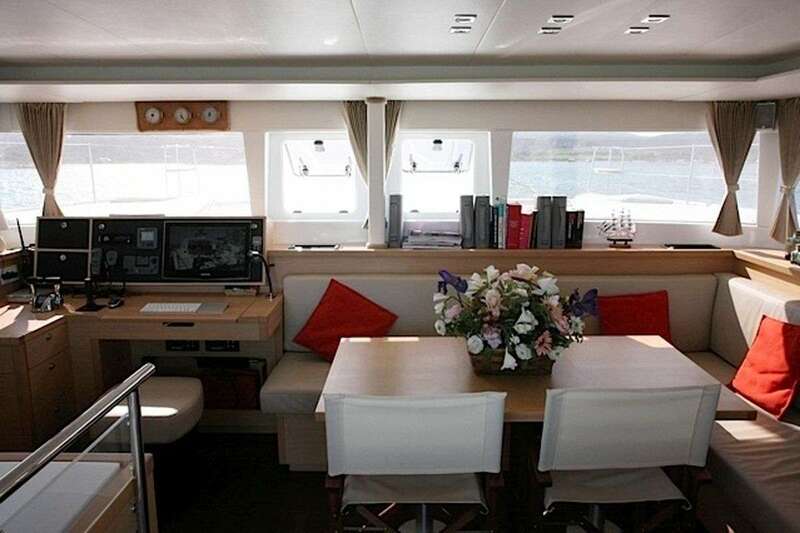 All the spaces on board have been designed to maximize guest�s comfort and to create an airy ambiance: the salon boasts a 360� visibility thanks to its panoramic windows and there�s exceptional brightness in all cabins thanks to large hull windows. 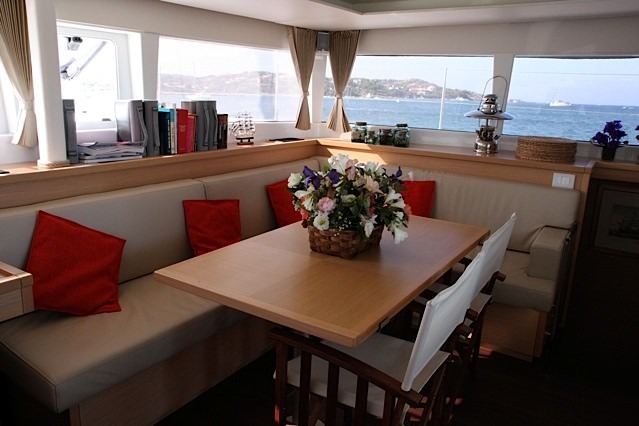 Okeanos offers ample space for relax and socialization: a big salon featuring a lounge/dining area and a flat screen TV, a spacious aft deck with an additional alfresco dining option and sunpads, a big net forward for guests to sunbathe and a fly bridge with a steering station and a little settee. 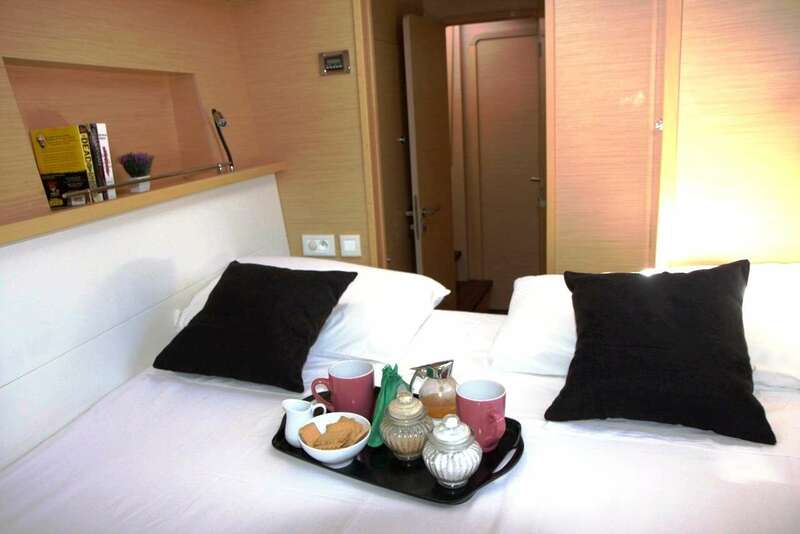 The three staterooms are all equally beautiful, all with double beds (one of them is convertible into twin) and with private bathroom and closet. 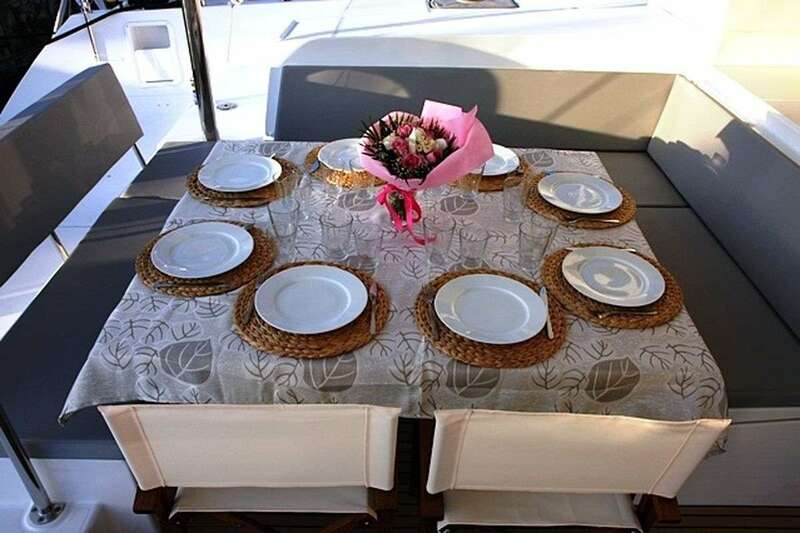 Her minimalist style, her relaxed atmosphere and her incredible stability will conquer every guest on board. 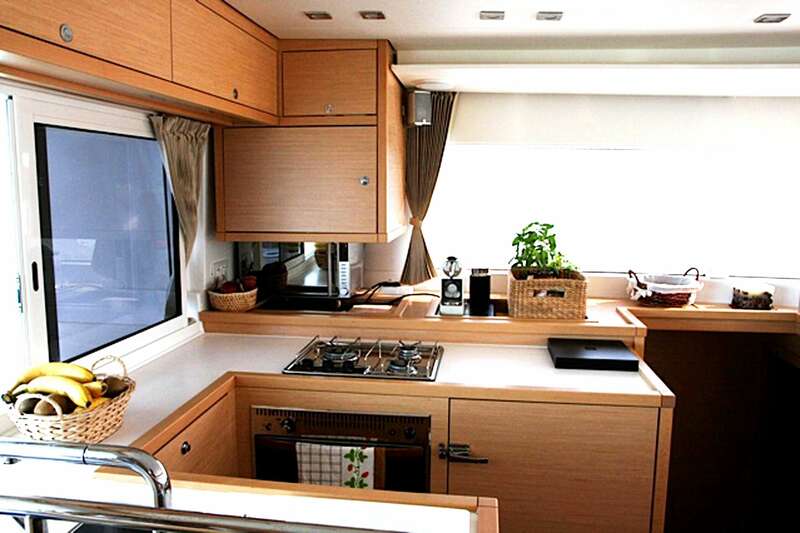 Let Okeanos be your holiday house by the sea: she will exceed your expectations! 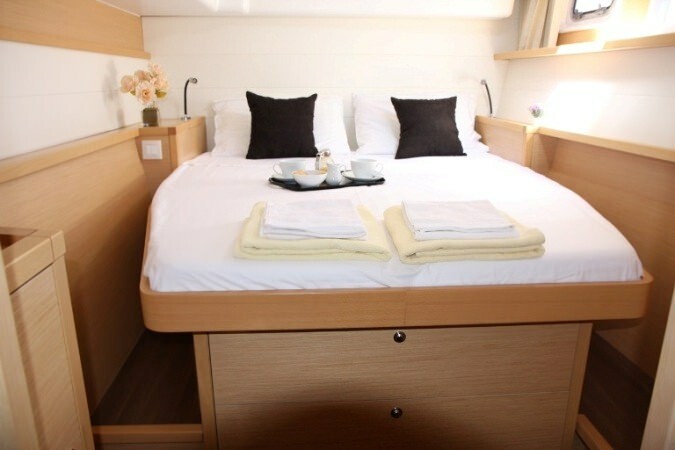 Okeanos offers accommodation for 6 guests in 3 double cabins, all with en-suite facilities.